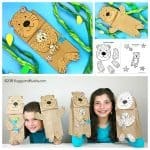 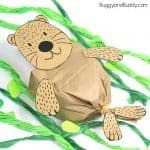 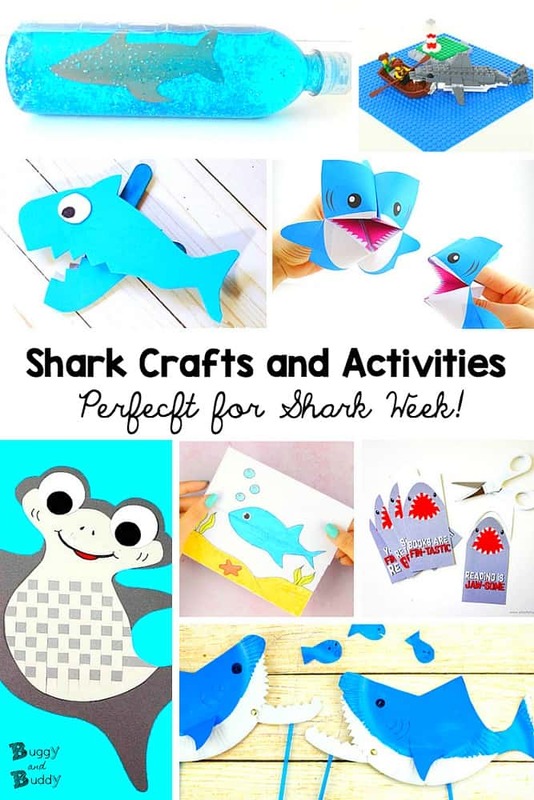 We love shark crafts and shark activities, especially during the summer and during Shark Week! 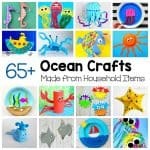 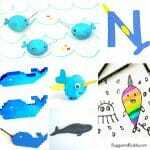 In this collection of projects you’ll find all kinds of shark-themed fun for children including shark sensory activities, shark printables, shark art projects and more! 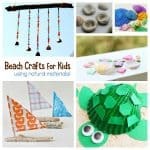 Follow our Ocean and Sea Life Pinterest board for even more ideas! 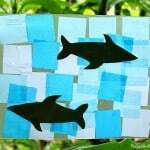 I think the kids have been obsessed with sharks for many many years. 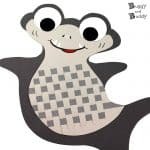 There was even one year where Lucy was so into sharks she knew every single fact about sharks and even had a shark themed birthday party! 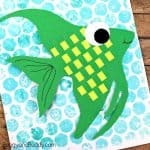 Sharks really are fascinating to observe and learn about. 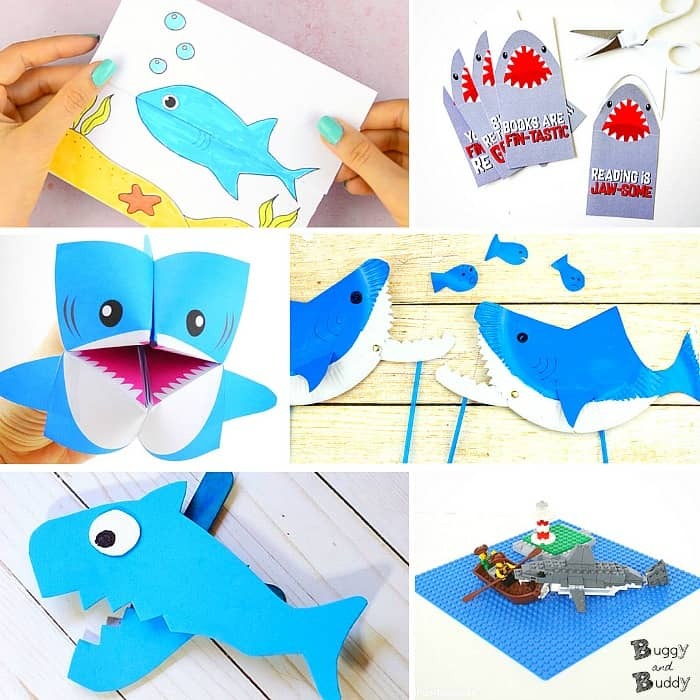 Check out some of our favorite books about sharks, and then choose one of these fun shark crafts or activities for the kids to do as an extension activity! 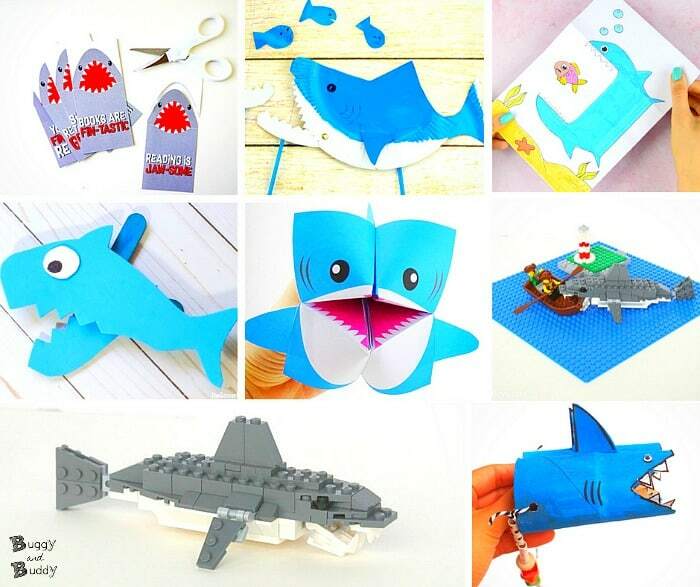 These are also sure to keep you busy during Shark Week and all through the summer!